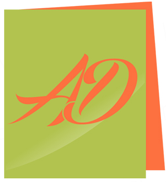 ← A Rude Awakening to Gratitude. 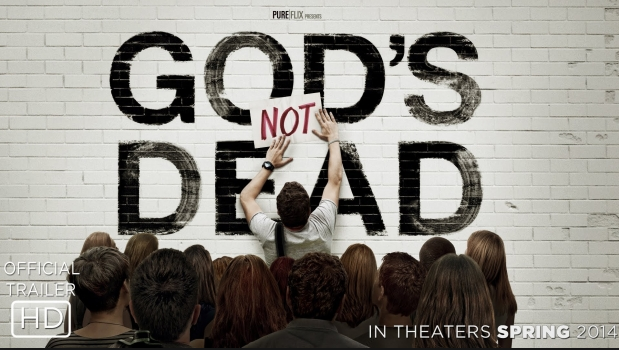 God’s Not Dead – This Should NOT be Headline news! The movie, GOD’S NOT DEAD by Pure Flix Entertainment featuring Kevin Sorbo (Hercules) and Shane Harper (Spencer in Disney’s Good Luck Charlie), Dean Cain (Superman) and David A.R. 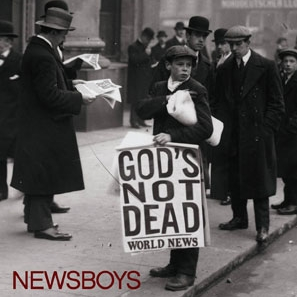 White (Jerusalem Countdown) with special appearances by Christian super-band, Newsboys who perform — God’s Not Dead , Willie and Korie of the Duck Dynasty (which I do not watch) opened today in theaters across America. There are plans to screen the movie in other parts of the world too. The movie synopsis stems from the book by Dr. Rice Broocks a highly respected senior minister and founder of Every Nation family of churches, which according to the website, “currently includes more than 1,000 churches in more than 60 countries … is on hundreds of college campuses ….focusing on equipping college students around the world to defend their faith.” He also developed the 10 questions conversation – The God Test. The book presents Nine (9) basic proofs of God’s existence and includes stories of the journey of faith, doubt, disbelief from people ranging from an atheist Harvard Professor to campus students having to defend His existence intellectually. The reality is that while God is evident to Christians, the rest of the human population could be completely oblivious or worse indifferent. Why is this important and Who needs this? The Seekers – those wondering, what if God REALLY exists? It’s not a sappy movie, but a serious INTELLECTUAL, CEREBRAL discourse around the question that plagues our hearts. Christians who have always wanted a non-preachy way to articulate and express their faith. The Spirit convicts the heart, we cannot do His job, but we can offer plain intellectual and logical answers to questions about our faith and belief in the Lord. Parents who want to fortify their children with information that is powerful in the face of dogmatic philosophies that run rampant in colleges and schools. I entered college as a Christian, got carried away, flunked a few (OK, a lot) of courses, got angry with God for “failing” me and basically ignored Him for a good chuck of my early adult years. That decision cost me dearly. Without a solid foundation and core understanding of WHY we believe, by the time we get through college, most us will suffer a crisis of faith. Why would you believe that there is nothing rather than something? Where did life come from? Evolution doesn’t explain where the first self replicating mutation came from. Where did our unseen conscience come from? Across cultures, nations and creed, why are we moral, how do we innately and universally know right from wrong? Who can you trust? A being who demands sacrifices from you or one who became the sacrifice? *All image credits from God’snotdead.org site. 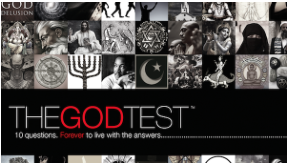 Prompt: How far would you go…to defend your belief in God? This entry was posted in Genesis, Real Life, Writing and tagged apologetics, atheists, Bible, BLOGGING, Christian apologetics, Christianity, daily prompt, Darwin, Dawkins, destiny, DPchallenge, Evangelism, Family, God, God's Not Dead, God's not dead book, God's not dead movie, Grace, Harris, How to defend our faith, Jesus, Krauss, Maher, making a case for faith, Newsboys, Nietzsche, Poachedegg. RatioChristi, Religion and Spirituality, revelation, Rice Broocks, The God Test, Writing, WRITING PROMPTS. Bookmark the permalink.